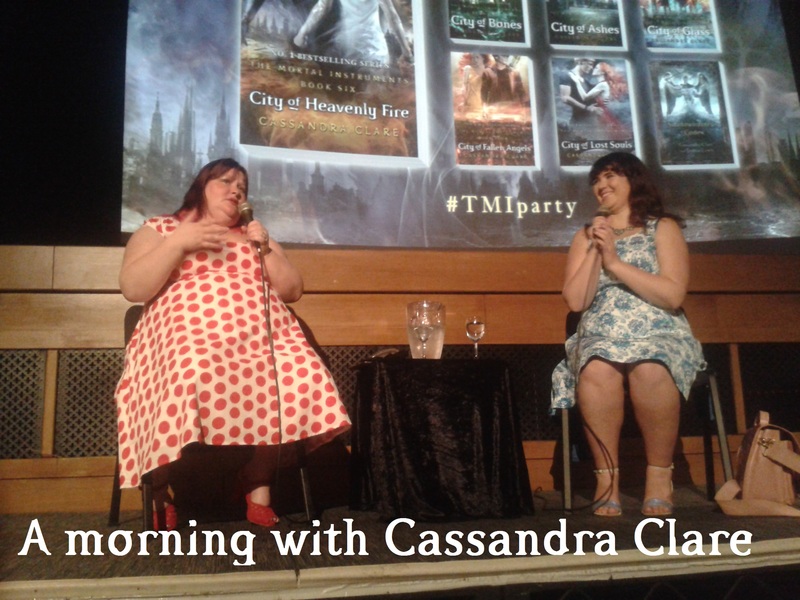 On June 7, Shadowhunters from England but also Central Europe traveled to London to see Cassandra Clare and Sarah Rees Brennan. Despite the rain, Cassie’s fans gathered in front of Prince Charles Cinema close to Leicester Square long before the event started at a little past 11 am. 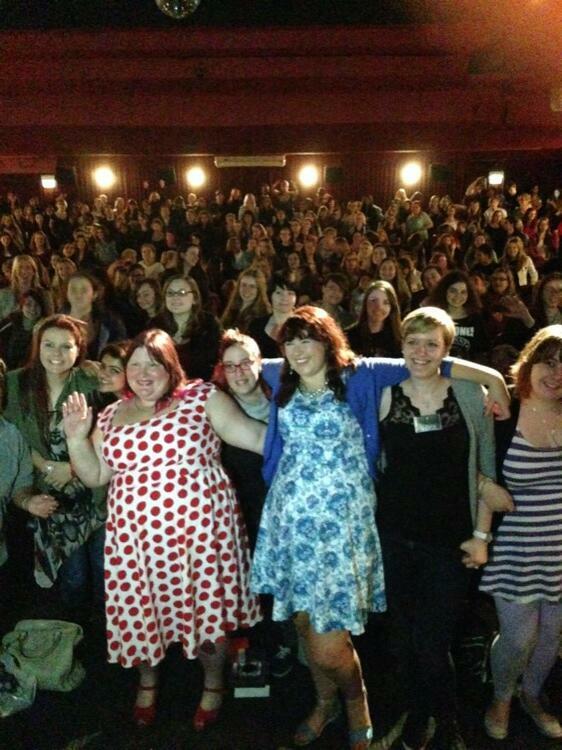 Cassie and Sarah both looked fabulous and first took a selfie with the crowd. As usual they both knew how to entertain the fans and kicked the event off with reading Magnus’s voicemails to a rapt audience. After that it was time for the Q & A where lots of cool and exciting things were revealed. 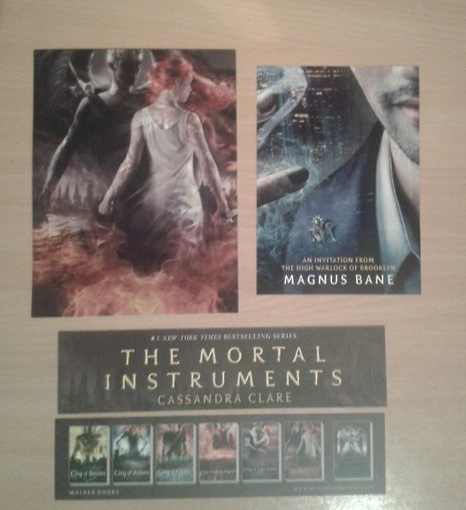 I’ve picked out the most interesting parts, for example news about the Simon short stories and the City of Ashes movie. If you want to read the whole Q & A then head to our friends from Page to Premiere. BEWARE OF CITY OF HEAVENLY FIRE SPOILERS! Q: In your description for your new trilogy of books, you said that Emma was the best Shadowhunter since Jace, what does that mean exactly? Does Jace somehow become a much worse Shadowhunter? I had written that Emma looked up to Jace and wanted to be like him and that she wanted to be the pre-emptive Shadowhunter of her generation. Like Jace had been the pre-emptive Shadowhunter of his generation and probably still is. But they’re different generations; all it means is that she looks up to him and she wants to be like him. She wants to be the toughest and she wants to be the bravest and she wants to kill the most demons. […] It was never meant to be a dark portent of Jace’s future and he doesn’t actually get any worse at Shadowhunting. In the end of City of Heavenly Fire Magnus writes or gives Alec a book with all his bits and bobs in, I was wondering if that was any link to The Bane Chronicles? So yes, Magnus does give Alec a book in City of Heavenly Fire, I don’t think that this is that big of a spoiler. He says, “This is the story of my life” and it is supposed to be The Bane Chronicles, so it’s like a book within a book. It’s a nod to The Bane Chronicles if you’ve read them, if not it still has the same meaning, that he has finally decided that Alec should know the whole story of his life and you know the important things that happened to him. Was City of Heavenly Fire always going to be that ending? Or did you plan for an alternative ending? No, it was definitely always going to be that ending, I had planned for that since the beginning. I won’t say as far back as City of Bones because when I wrote City of Bones I thought I was writing a trilogy and then a series of spin offs and it turned into a trilogy and a second half of a trilogy. But from the minute that I wrote out what was going to happen in City of Fallen Angels, Lost Souls and Heavenly Fire, that was what was going to happen, it stuck pretty exactly to the plan. I don’t think there were any major deviations at all. […] I changed some details, but I’d say that I always know where I start and always know where I’m gonna end up. I don’t know, I would think so. I would personally be surprised if they didn’t have him. They had to completely redo the entire screenplay, which takes a long time but believe me you wanted that screenplay redone! I will tell you one thing that is, Clary split into 2 people that both looked like her and had a shovel fight with one another. (Sarah Brennan) Oh and of course Magnus running for mayor of New York. (Cassie) I thought you liked when Jace rode the mermaid! The cast was never the issue, the script was the issue but I have been told that I would hear from them in the next couple of weeks! I mean he (Magnus) would make a great mayor in principle but a race of peoples entire reason for being is to hide themselves from Mundanes, probably running for mayor isn’t a good idea. What do you miss most about The Mortal Instruments and will the characters from The Mortal Instruments be in other books? I miss writing about the characters from The Mortal Instruments, definitely. I feel like their story has come to an end. There’s sadness about saying goodbye to them while they’re still evolving and changing. Certainly the surviving characters from Mortal Instruments will appear in The Dark Artifices so they’ll be in their twenties cause The Dark Artifices is taking place about five or 6 years later so we’ll get to see people getting married, having kids, getting jobs. While I’m sad to say goodbye to their teenage selves I’m excited to interact with their adult selves. They’re going to be like The Bane Chronicles. Same authors, so we really missed doing The Bane Chronicles and we loved it and we actually had an idea to do a second round of them. […] It’s not like The Bane Chronicles in that it focuses solely on Simon because Simon hasn’t lived for four hundred years, he’s got less vast historical experiences. It’s such an enormous spoiler that I’m having a hard time describing it. He would definitely be the main character/narrator figure, but then it also delves into Shadowhunter history. It involves stories about Will and Tessa, it involves stories about their kids, it involves stories about Emma and Julian, about Jace and Clary. It involves a certain story about a certain character’s stag night whose getting married and Simon is invited – (Sarah) Simon’s the organizer – and it’s like the worst stag party ever! (Sarah) Whereas somebody organizes the best hen night! (Cassie) We’re very excited about doing it. Hopefully we’ll be able to put the details out soon, we’re holding off because they are spoilery for City of Heavenly Fire. It would be 10 stories, each story online and then made into a book and sold in a different version. (Sarah) He really is the Mortal Instruments character with the most unfinished business. I have a question about the Iron Sisters, are we gonna have a bit more about them? Well, we do see a lot about the Silent Brothers because they are allowed to come out and mix with the Shadowhunters. They are the healers, they’re the archivists and the Iron Sisters specifically stay in the bound citadel. They don’t come out, only except they can have a visit from a Shadowhunter if it’s a woman. So you don’t see them much, because they don’t get out much. But they’re really interesting to me and we’ll definitely see more of them. They’re more important in The Last Hours and also there is a moment in City of Heavenly Fire where Luke says his mother was an Iron Sister and that’s important later. After the Q & A, Cassie and Sarah signed books (and also faces) before I sat down with Cassie for an exclusive interview which will be online shortly. Thank you to Walker Books and Waterstones for once again hosting such a fantastic event! SIMON SIMON SIMON SIMON SIMON SIMON!!!!!! Stag night! oh my god, whose getting married?! Its definitely Clace, I have absolutely no doubt! Feeeeels! !